A Loving Father, Father-in-law, grandfather and Friend. Sadly missed by all. 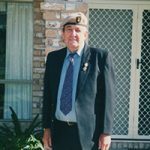 A Service to Celebrate Mervyn’s Life is to be held at Traditional Funerals Chapel, 636 Morayfield Road, Burpengary Thursday 7th February 2019 commencing at 1.30pm.